Interested in the game but don't know how to get started? Or a seasoned player looking to hone your skills? We have just the class for you. Learn from our team of quality coaches with international playing & years of coaching experience. Proudly sponsored by AXA Insurance, YFA offers COMPLIMENTARY* Personal Accident Insurance that covers your medical expense, accidental death & permanent disablement during the training. ActiveSG-SFL Premier League now on! Catch last year's Top Division 1 Mens Champion Team in action as they defend their title. The game of floorball has received massive popularity in Singapore & is widely played both competitively & as a recreational pastime. Floorball requires fast reflexes, precision techniques & cohesive teamwork for a successful play. Operating under a common philosophy, our coaches take pride in their passion of the game, working to instill the same fire & skillset in the teams & individuals they develop. 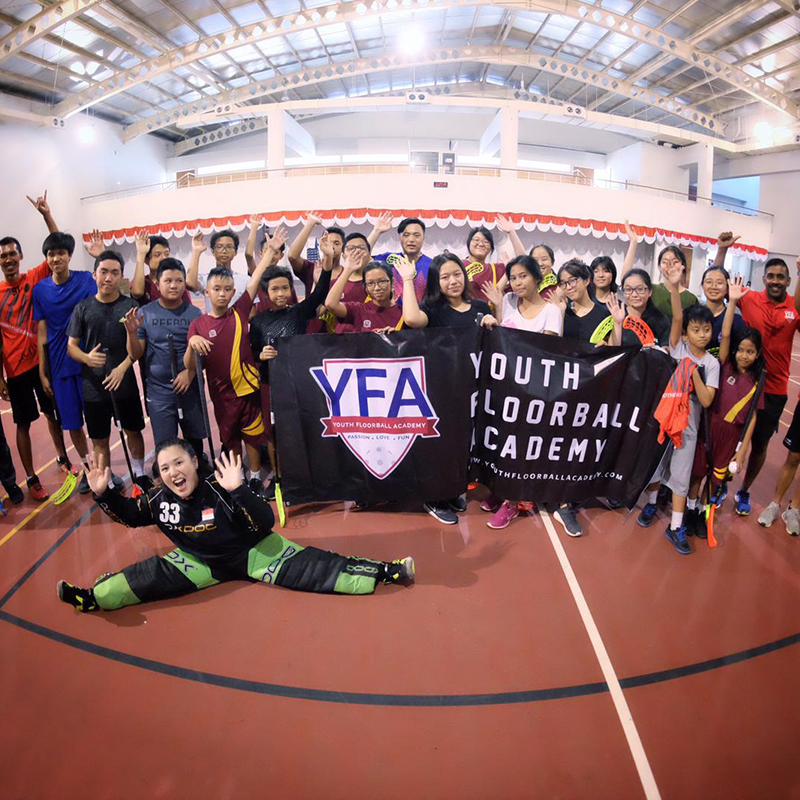 Team YFA has been busy bringing floorball to the neighbourhoods & beyond! Check out the highlights from the recent SNG2018 & YFA's appearances at community events. Classes on every Saturday & Sunday, at SUTD Changi Sports Hall. 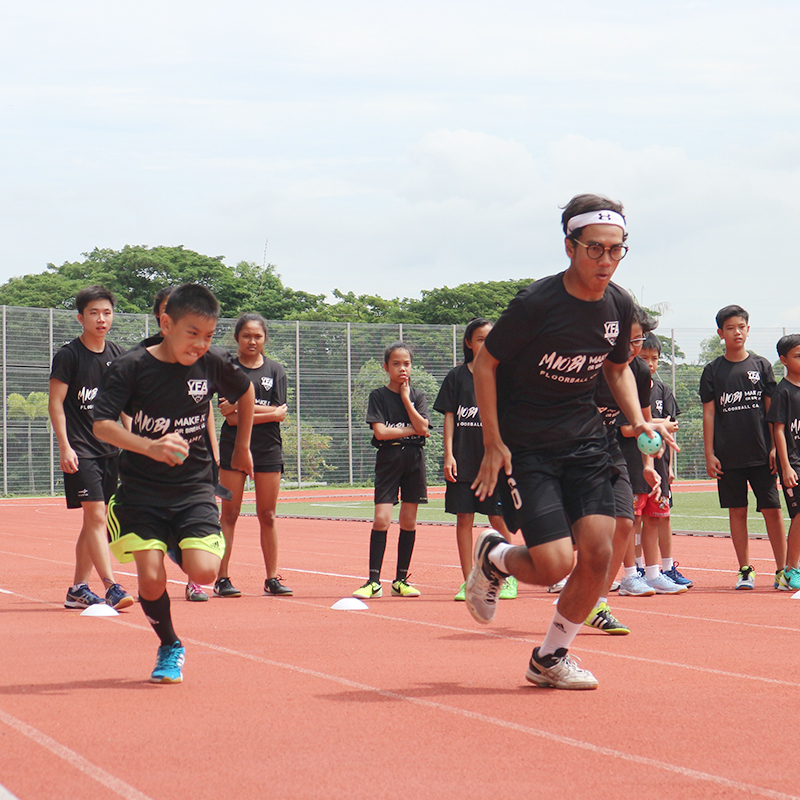 Join our weekly sessions at Bukit Batok! Classes on every Saturday. 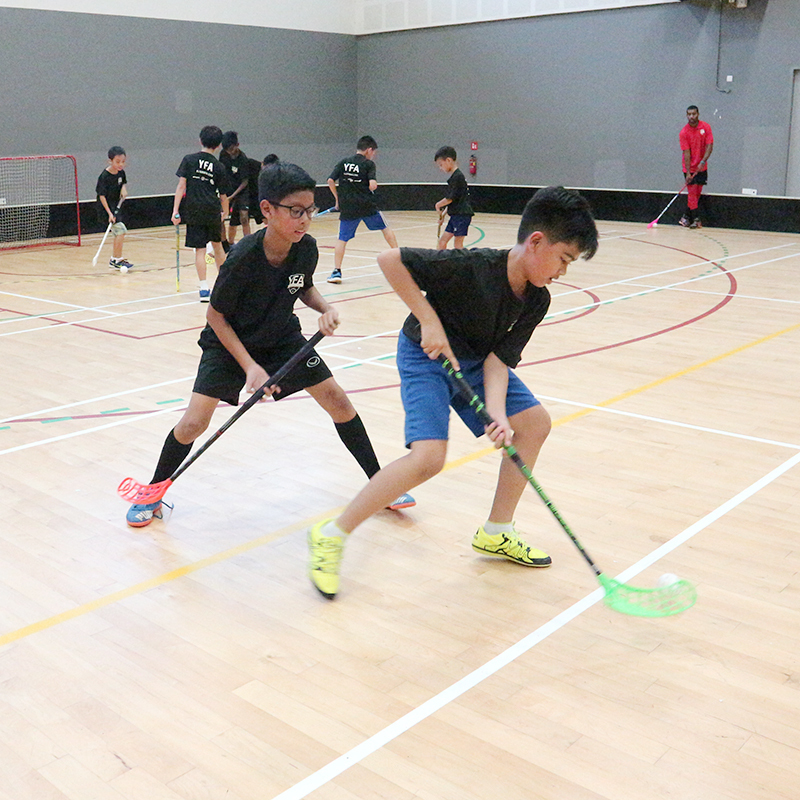 One-of-a-kind 4 hours high intensity Floorball Camp. Not for the faint-hearted.